GRANT: (Whispering) 50 yards and coming; 50 yards and coming. GRANT: It’s the time of year when most of us are thinking about chasing either deer or elk. Last fall I was blessed to have an incredible elk hunt with Hosted Hunts. My hunting buddies and I saw a ton of critters. GRANT: During the last afternoon of the hunt, I was thrilled to connect with my first bull elk. GRANT: I had such a great hunt that several of my buddies and myself have worked with Hosted Hunts to return to the same spot. You can bet I’m super excited and already preparing for that hunt. GRANT: As part of my preparation, I’ve moved from shooting dots to a chest shoulder target by Morrell. At this stage in my practice, I’m focusing on making every shot count – one at a time. GRANT: When you’ve got a cameraman and a hunter and, possibly, a guide, it’s important to make sure that elk is not focused on where the calls are coming from. And to accomplish this, I use a Montana Decoy. 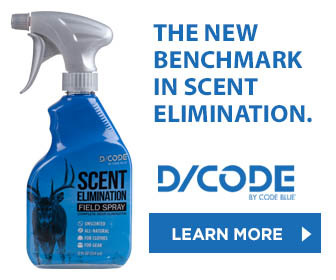 GRANT: To make sure my decoy is ready to roll this season, I put it in a Scent Crusher to remove all the scent. I’m already excited about putting it and some other items in my pack and going out that first morning. GRANT: If you’d like to receive some updates daily on our elk hunt, simply check out our social media. ANNOUNCER: GrowingDeer is brought to you by Bass Pro Shops and Cabela’s. 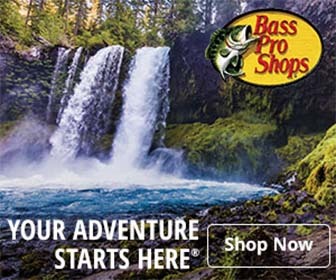 Also by Reconyx, Trophy Rock, Eagle Seed, Nikon, Winchester, LaCrosse Footwear, Flatwood Natives, Morrell Targets, Non-Typical Wildlife Solutions, Hook’s Custom Calls, Montana Decoys, Summit Treestands, Drake Non-Typical Clothing, RTP Outdoors, Yamaha, Fourth Arrow, ScentCrusher, iSCOPE, Mossy Oak Properties of the Heartland, Hunter’s Blend Coffee, Motorola Lighting Solutions, Scorpion Venom Archery, Code Blue, D/Code, G5 Broadheads, Prime Bows, and Redneck Hunting Blinds. GRANT: Even during the harsh drought conditions we experienced this summer, the Eagle Seed forage soybeans did a great job of providing forage for our deer. GRANT: Seasonal growing conditions can have a big influence on antler development. But thanks to Eagle Seeds indeterminate variety of soybeans – keep growing even in harsh conditions – and our Buffalo System of conserving soil moisture, we’ve got some good bucks to chase this fall. GRANT: Throughout the summer, we had some Reconyx videos of two hit listers called Swoops and Slingshot using a food plot we call Pops. GRANT: A few weeks ago, Daniel hung a couple of Summits on the edge of Pops hoping those hit listers stay on the pattern at least ‘til Missouri’s opener. DANIEL: We’re really looking forward to see what the view is gonna be like from this tree. It’s taken a lot of time to figure out which tree we want to hang in and we finally decided. DANIEL: You never want to be unhooked from the tree – tethered in; tied in. I’m gonna start hauling stuff up – slapping the stand on. CLAY: Oh, yeah, man. I mean they’re just like – that Slingshot, he’s just right here. DANIEL: Well, that’s a wrap. This Summit is hung and I love the view. Of course, Swoops, Slingshot – they’ve been moving probably 25, 30 yards from this tree. I can’t wait to climb up later this fall. GRANT: An easy step to make forage a bit more palatable compared to other areas is simply make sure it’s got all the minerals necessary for optimal plant growth. GRANT: Deer are very attracted to minerals, especially after rains like we’ve had recently. But a few years ago, we were placed in a CWD zone and can no longer just go place a Trophy Rock at the edge of a food plot. GRANT: That worked to our advantage in some ways. Trophy Rock, knowing hunters in some areas like we are can’t place minerals in one area, created Plot Rock – ground up Trophy Rock, like fertilizer. DANIEL: Pops is a little larger than a small hidey hole food plot, so it’s possible that deer will feed out mid-field; it may never offer us a shot. So, we want to keep deer coming in right there in front of the stand. GRANT: We put Plot Rock in a broadcast spreader. We’re using an over-the-shoulder model and simply applied a mineral to portions of our plots. DANIEL: All right. So, we’ve got down to the stand. The stand’s right here in this tree. Owen, what we’re gonna do is I just want you starting right here, working back and forth. Just kind of open the gate up just a little bit. We don’t want to put out so much that we end up having to walk back to the Yamaha to fill up. So – and we only get half of it done. DANIEL: So, go ahead and just open the gate up just a little bit. And we’ll just start zig zagging across here and we’re just gonna do, you know, a 30, 40 yard circle all the way around right in through here. GRANT: The plants readily take up to 60-plus minerals; grow healthier and become more palatable to deer. Deer can taste the difference of healthier plants rapidly and they will forage where those plants occur. 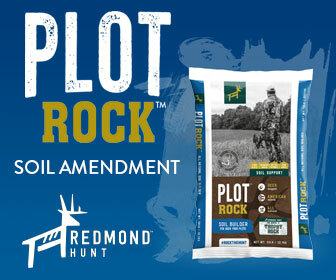 GRANT: Plot Rock is an easy way to ensure our deer have all the minerals they need and to produce healthier forage. GRANT: We tested Plot Rock last year in a plot we call Prickly Pear. The plot is named Prickly Pear because, literally, those plants were growing in the area. It’s a dry location. 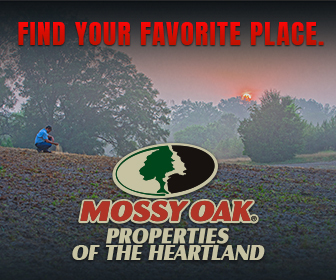 But, the perfect spot for a food plot. GRANT: Daniel hung a stand on the edge of the Plot Rock test area last year when he was able to tag several deer. DANIEL: Well, it’s December 6th and Tim and I are here at Prickly Pear and there have been a pile of deer in this food plot. Of course, this summer, we had decided to extend the little hidey hole food plot into this larger, larger feeding area and it has definitely drawn in deer and they have just been hitting it hard. DANIEL: So, we’re hoping tonight to punch a doe tag – maybe a couple – and hopefully, try to balance that food and deer ratio on this portion of the property. GRANT: In addition to chasing some bucks, we need to remove about three does per 100 acres to get our deer herd back in balance with the amount of quality forage we can produce in harsh, dry conditions. DANIEL: Well, this is doe number 36 for here at The Proving Grounds – number five out of Prickly Pear. Good, big doe. I see the broadhead sticking out of this off side shoulder. Of course, saw the arrow sticking out as she ran off and it had almost gone through that off side shoulder. So, that DeadMeat definitely did its job. She didn’t go but 50, 60 yards from the plot. So, it’s gonna be an easy drag – unfortunately uphill, but. GRANT: It’s not a good strategy to manage your deer population based on great growing seasons because they don’t occur every year. GRANT: A much better strategy is to manage the total amount of deer with the amount of forage produced in medium to low quality growing conditions. GRANT: We harvested an average of a doe and a half per 100 acres last year. And that clearly wasn’t enough based on the forage growth this summer. So, this year, we’ve doubled the amount. We’re trying to take three does per 100 acres. To meet this objective, we’re gonna have to use some really solid techniques to harvest enough deer. GRANT: A big part of our strategy is not alerting deer now or during season. 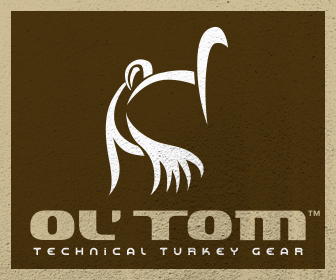 That means entering, hunting, and exiting our stands or blind locations without alerting deer. GRANT: That’s a commonly used technique, but let’s take it one step farther. 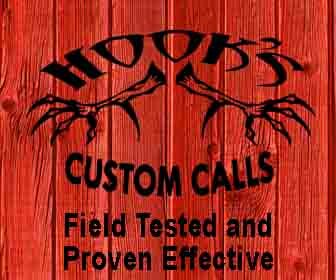 You need to have the same approach when managing your trail cameras. GRANT: Early season – especially before acorns have dropped and deer are using food plots, we’ve learned to use a time lapse feature so we don’t have to get right where the deer are entering or feeding. GRANT: This is a food plot we call Crabapple and we’ve had many great hunts here and out of this Redneck Blind throughout the years. We know from past experience, deer tend to enter this plot at the very back at the timber line. GRANT: But I don’t want to walk 200 yards back there, do a lot of messing around, and hang a camera right where deer are entering the field. We’ve mounted a Reconyx on this Redneck Blind about 200 yards from the back of the field. That gives us a wide field of view so we can cover the whole timberline. GRANT: There are many advantages to using Reconyx’s time lapse feature. When using the time lapse feature, we tend to place cameras on the east side or the most likely downwind side of the plots. GRANT: By placing them at the very edge of a plot and taking a picture every 15 minutes or so of the entire plot, we’re not walking across the plot to where we think deer are entering, feeding or exiting. GRANT: By using this strategy, we get a much wider field of view so we can see exactly where deer are coming in or leaving a plot. 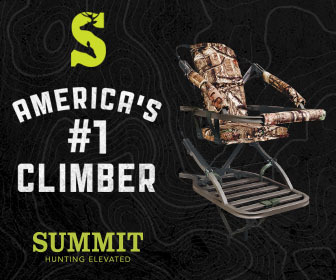 It’s easy to set up on a scrape or trail and that’s a pretty good strategy in the timber. GRANT: But if you’re on a plot and you set up in one area and the deer happen to come out 50 yards or around a corner or something, you may miss ‘em totally. 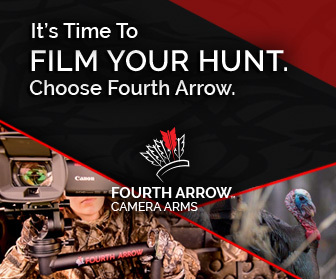 But, when you’re back and have a much larger field of view, you’ll capture those deer. GRANT: This technique allows us not to leave any scent where the deer are coming in the plot and see a much wider range so we can plan accordingly. We will continue to use this strategy throughout the season and we’ll share with you the images, the tactics we use based on those images, and the results. GRANT: Some of our tactics will change throughout the season based on conditions. If you’d like to stay current on the tactics we’re using, please subscribe to the GrowingDeer channel. GRANT: I’m just a few days away from sitting in a stand. And that’s the perfect opportunity to be quiet and listen to what the Creator is saying to me. GRANT: Even if you’re not hunting, be sure and take time every day to be quiet and listen to what the Creator is saying to you.